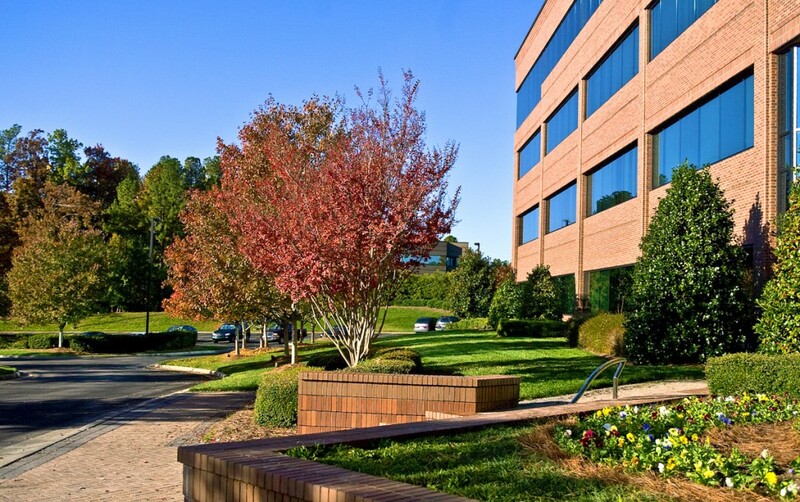 Creekstone Office Park lies immediately adjacent to Research Triangle Park in Durham, NC. Planning for the Park began in 1984. 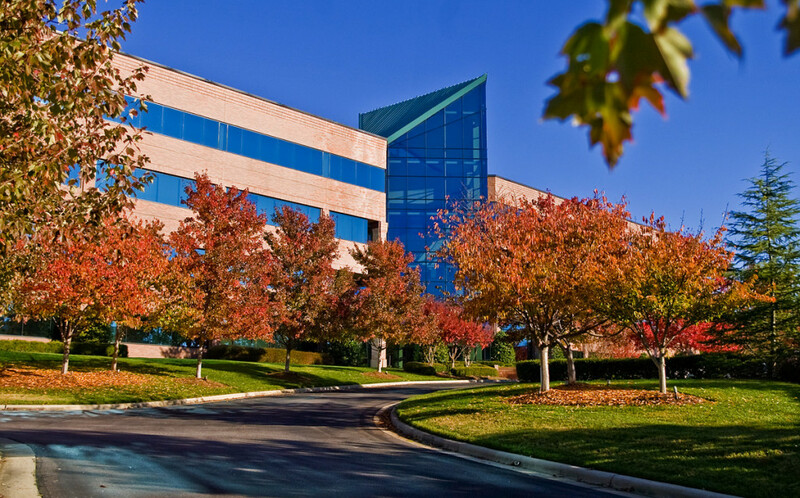 Creekstone was conceived as a Class A office development. Final build-out of the Park resulted in the construction of five multi-story office buildings totaling 350,000 square feet. One building, River Birch also has a parking deck. The Park’s property had a beautiful, wooded stream which paralleled Nelson Road, the Park’s main vehicular access. The plan was developed to preserve the stream as a significant landscape feature. In order to insure that the creek had a prominent visual impact, the main Park Drive was located along the creek with no intervening buildings. HagerSmith Design was the Architect and Landscape Architect for all the buildings in Creekstone. Other features of note include a coordinated signage package and an entry fountain at the main drive entrance. 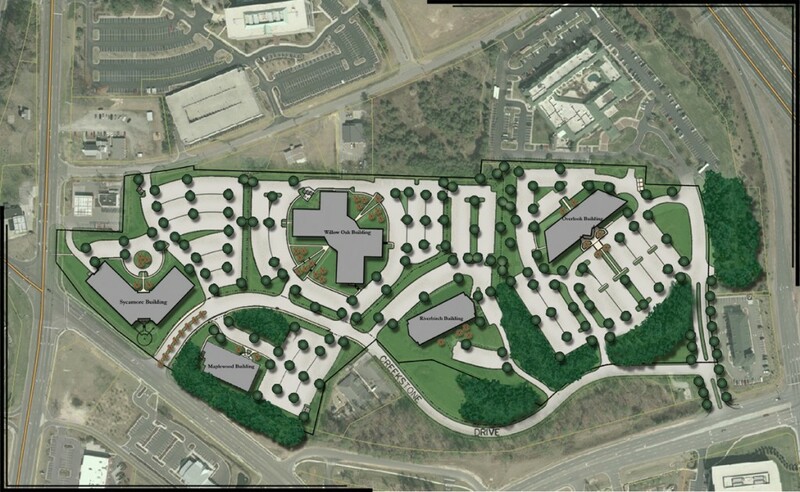 HagerSmith Design also provided rezoning services to update the master plan to conform to Durham’s new Unified Development Ordinance.